Technology isn’t just for technology’s sake. If you’re a photographer, for example, the web can be a great way to share your art with the world. This guide tells you everything you need to know to set up your own photoblog. This guide is available to download as a free PDF. Download How to Set Up Your Own Photoblog now. Feel free to copy and share this with your friends and family. The main emphasis on any photoblog should be the photography. While an aesthetically pleasing theme is always a plus, the focus should be on the photography itself. Many photoblogs do away with any frills, and instead give most if not all, of the screen real estate to the photographs. This manual explains how to start a photo blog, breaks down the main tools you can use, including ones you can host on your domain and ones you can quickly use free of charge. You’ll see examples of photoblogging done well, and step-by-step instructions for getting started. Put simply: a photoblog is a site where you can share your photography online. 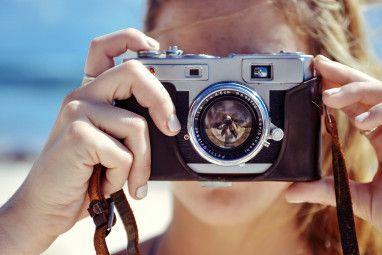 Photoblogs are a means for photographers, both amateur and professional, to share their photography, serving as a means of advertising, marketing, or simply a means of displaying your art to an audience. We’ll outline these systems later, but for now just know that all of them make it easy for you to focus on what matters: your photos. Jeremy Cowart’s photoblog is an excellent example of that. A menu, logo and categorized photos which you can scroll through make up the blog, ensuring that the first thing you notice are the images. There are certain stylistic methods you can use to really take this tip to another level, such as using a menu that appears when you hover the mouse over it and disappears when not needed. 1.3 Should you include information with each photograph? There are certain items that you may want to include with your photography, but it all comes back to how much you want to share. Some photographers like to share the meta or EXIF data of their photo, showing others how they got these results. Others might only want to share basics such as location, or the idea behind a conceptual photograph. And others still might want to leave the viewer to take in nothing more than the photo itself. You need to decide how much information you want to share. 1.4 How often should you update? As a photographer, you want to make a striking first impression, displaying the variety of your photography and your skills. You don’t want to bog down viewers with each and every photoshoot you’ve ever done. A good photoblog should be all about quality over quantity. An ideal way to set up your photoblog is to divide it into clear and easily accessible categories – product, fashion, street, landscape, portraiture, and so forth. That way a viewer, or potential client, can go straight to the style that is of interest to them. Sophie Thouvenin’s photoblog is a perfect example of the most direct way of displaying the various styles, categories, or themes in your photography. 1.5 Do you need your own domain? If you are a professional photographer, the answer to this question is unequivocally yes. As with any professional service, showing that you have invested time, money and effort into presenting yourself to potential clients will ensure that you are taken seriously. If you’re setting up a photoblog for fun, to share your photos with your friends and family, a personal domain is not a must. 1.6 Do you want people to comment on your photos? Another question you should ask yourself when setting up your photoblog is whether or not you want to receive comments. Is the aim of your photoblog to advertise and market your photography, or are you looking for critique and hoping to improve? Professional photoblogs tend not to allow comments. 1.7 Should you create a slideshow? Some may argue that we have officially entered the Twitter era, where bite size pieces of information are easier to consume. People’s attention spans are surprisingly small when it comes to the Internet. With so much out there, it’s not surprising. One interesting way to get people’s attention with your photoblog is to create a slideshow. Rather than wait for someone to scroll through the images, you can automatically display as many images as you want, while the viewer just sits back and watches. Bruno Mercier’s photoblog is a good example of how a slideshow can be used as a successful introduction to your work. At the end of the day, there is no wrong or right way to putting together a photoblog. As with any artistic endeavour, there is no limit to how you present your work. Martin Kilmas gives us an interesting example of how putting the right photos side by side are enough to create an attractive blog. For an artist, the ideal way to create your own photoblog is to host it yourself, allowing you complete control over its appearance. In addition, it will give you much needed peace of mind as far as your work is concerned, giving you complete control over your own copyright. You don’t have to worry about the fine print in the Terms of Service, about exceeding storage quotas, or anything else. 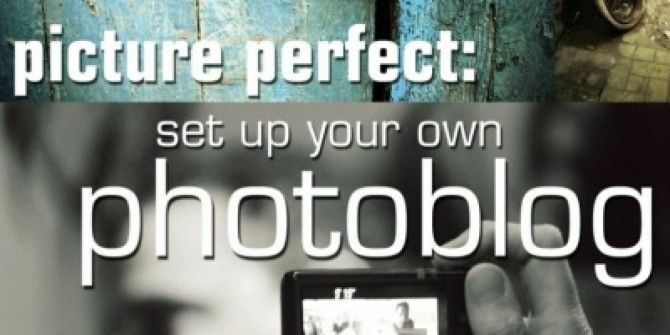 In order to host your photoblog yourself, the first step will be to purchase a domain name, and select a hosting plan. One of the most popular options for purchasing both domain names and hosting packages is GoDaddy. When it comes to choosing your domain name, the most common option for photography portfolios is using your real name as the domain name. If you’d rather not use your name, and are stumped for ideas, you could always check out these 10 Unusual Domain Name Search Tools to Find Hot Domains 10 Unusual Domain Name Search Tools to Find Hot Domains 10 Unusual Domain Name Search Tools to Find Hot Domains Read More . If you would rather not pay for your hosting there are a few options available for those looking for free hosting Top 7 Easy and Free Web Hosting Services Top 7 Easy and Free Web Hosting Services Are you looking for a good free web host for your first website? Don't look beyond these seven top-notch web hosts that have a good reputation. Read More . Once you have your hosting and domain name, the next step will be to decide which platform you wish to use to create your photoblog. If you don’t have the means or the ability to design your own photoblog, we’ve put together a comprehensive list of some of the best and easiest to use options available on the web right now. WordPress is one of the most common blogging platforms, and with the variety of both paid and free themes it is easy to transform your WordPress blog into an impressive photoblog. WordPress is a good place for both professional and amateur photographers to start with their photoblog. If you don’t have the means or ability to create your own theme, there is no limit to the options available, although if you want to be taken seriously as a professional photographer, a unique theme is a must. Some of the best portfolio themes have been highlighted by MakeUseOf in the past. There are 5 WordPress 3.0 compatible portfolio themes here 5 of the Best WordPress 3.0 Compatible Portfolio Themes 5 of the Best WordPress 3.0 Compatible Portfolio Themes Read More . Some of the best places to find free and paid portfolio themes are listed here 10+ Resources For Free Professional WordPress Themes 10+ Resources For Free Professional WordPress Themes Read More . In addition to free themes, there are some great plugins 4 Must-Have Plugins When Using Wordpress as a Portfolio 4 Must-Have Plugins When Using Wordpress as a Portfolio Read More that make managing your photoblog using WordPress much easier. The advantage to using a platform like WordPress is that, if you’re a blogger, you’ll feel right at home managing your photoblog, since there’s no learning curve using the WordPress dashboard. I personally have my photoblog set up on WordPress for several reasons, including ease of use and flexibility. As a writer, I need to be able to add more than just photographs, and WordPress gives me that option (unlike some other platforms listed here.) WordPress is also a great option if you’re concerned with SEO and driving traffic to your blog. The backend of a WordPress photoblog is no different from a standard blog, making it easy to upload photos through the media manager, create galleries and much more, as is explained in this MakeUseOf post Build A Cool Photo Gallery Website from Wordpress Build A Cool Photo Gallery Website from Wordpress Read More . Depending on your choice of theme, managing your photoblog using WordPress can vary. For the most part, you can use the standard media library, uploading images directly from the WordPress dashboard when adding a new post. Some themes, such as the one that I’m using, may require that you add the photo using a custom field. Be sure to read the documentation that comes with your theme so that you can be sure that your photos are displayed correctly. Yet another way of managing your photos on WordPress is to use a plugin. One of the most popular plugins is Yet Another Photo Blog, or YAPB. The plugin makes it easy to upload and automatically resize images. Other features YAPB provides include automatically assigning all photos to a specific category, and posting the photo the date it was taken rather than the date of upload. This is particularly useful if you want to use your WordPress photo blog to keep a daily photo diary or start a 365 Project. To benefit from YAPB’s features, be sure to use the plugin-specific upload feature when adding a new post. Wordpress’ strength lies in the fact that, between the variety of themes and plugins, you can probably find a way to achieve just about anything you want to with your photoblog. The following is an example of a portfolio created using a paid WordPress theme. Like WordPress, Tumblr is another blogging platform which can be used with your own hosting, and it offers both paid and free themes, and there are some great portfolio options The Top 10 Free Tumblr Themes To Create A Portfolio The Top 10 Free Tumblr Themes To Create A Portfolio Read More for photographers who are just getting started. Of course, you can also choose to use Tumblr for free with a Tumblr domain. While Tumblr’s back-end is as simple as it gets, making it easy for just about anyone to create an impressive looking photoblog, using their service does have its drawbacks. If you’re planning on driving traffic to your blog based on search results and careful tagging of your photos, Tumblr is not the best option. Unfortunately, Tumblr’s Search Engine Optimization leaves a lot to be desired, and you are better off using a service like WordPress if SEO is a priority. Below is an example of a rather unique portfolio created using a free Tumblr theme. Alternatively, there are several portfolio platforms that serve as a great alternative to traditional blogging platforms. Pixelpost is an easy-to-use option for putting together a hosted Photoblog for free. The open source platform is just as easy to use as WordPress, from installing to getting your photoblog up and running. While Pixelpost offers an ideal option for a gallery or photoblog, the variety of available themes is nowhere near the number available for WordPress. While easy to use, Pixelpost will require a bit of extra work on your part as, unlike WordPress, it does not automatically resize images for you once they’re uploaded. Zenphoto is a slick, free and most importantly very easy to use option for putting together a self-hosted photoblog. With Zenphoto you can create albums, upload your images, add titles and descriptions, and even crop your photos. Other Zenphoto features include batch uploading, watermarking, and the automatic sharing of EXIF data. As far as themes are concerned, like Pixelpost, the variety of themes available are nowhere near as extensive as WordPress, but like we said, sometimes a simple theme is preferable, letting all of the attention go to the photography instead. Be sure to check out Tim’s in-depth post on Zenphoto Zenphoto - A Mighty Powerful Photoblog Engine for Your Website Zenphoto - A Mighty Powerful Photoblog Engine for Your Website Read More if you’re looking for an installation guide. If you’d rather not put any money directly into creating your photoblog, there are many free options available, but these should be considered a last resort, particularly if you’re looking to make a career out of this. If you are looking to use your photoblog as a means of advertising your service, having your own domain name, a non-branded site, as well as a design that isn’t in use by tons of other photographers, are all essential. That said, if that’s not a viable option, free blogging platforms like WordPress.com, Blogger, Posterous or Tumblr are a good place to start. WordPress, Blogger and Tumblr have a decent variety of free themes, while Posterous keeps things minimalistic and simple, allowing viewers to focus on photography instead. With WordPress.com, you are limited to the themes that are provided by the service. That said, there are a few themes that will do the trick. Some of the themes that are available to install directly from within your WordPress.com dashboard include Monotone and Modularity Lite. Below is an example of a portfolio created using a free WordPress.com theme. Choosing between a free platform like WordPress.com and Blogger comes down to personal preference. The blogging features are similar, and using Blogger has the added advantage of simply using your Google account to log in. Like WordPress, the advantage to using a service like Blogger is having an easy-to-use back-end that you are most probably already familiar with. The following is an example of a portfolio created using a free Blogger theme. Unlike with the self-hosted WordPress photoblogs versus WordPress.com, there is no difference between using Tumblr as a photoblog with your own domain or with a Tumblr sub-domain. The advantage to using Posterous as a photoblog is that it gives you an easy way to document your photos on the go. So, for example, if you wanted to started a photoblog of images taken entirely using your Smartphone, Posterous would be the easiest way to get the blog up and running. Posterous is another service you can also use with your own domain name. If you need help getting started on setting up your own domain name, check out their instructions. Posterous recently added a new slideshow feature to their arsenal, allowing visitors to view all your photos as a slideshow, but visitors have to click on the slideshow link on your page in order to activate it. 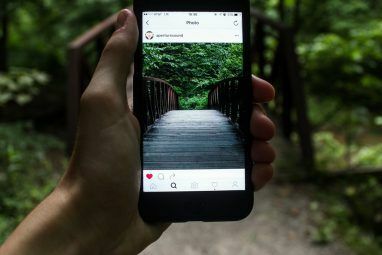 Photo sharing services, while they might be easy to use and have the added bonus of a community atmosphere, are probably the least popular option for creating a photoblog. There are many cons to using a photo sharing service. The service’s branding will be unavoidable, which makes for a somewhat unprofessional presentation, and most of these services, when used for free, do include an imposed limit on your uploading quota. If you are a prolific photographer with lots to share, rather than pay for a pro account on a photo sharing service, you’d be better off paying for your own hosting. When choosing a photosharing site, there are two main issues you should look out for – as mentioned before – make sure you know what limitations free accounts have, to be sure that the site will provide you with enough storage to share your photos. The second point is to look at how the photos are displayed. Flickr’s recent changes to its lightbox have made it slightly more appealing aesthetically. You have to make sure that the layout and design provided by the site do your photos justice, as you have no control over that and will be stuck with whatever they dish out. Flickr is undoubtedly the most popular and most well known photo-sharing options. If you plan to use Flickr as your photoblog, the first thing you should bear in mind is that with a free account, only your latest 200 images will be visible to viewers. This may seem like a lot, but once you start to upload your images, and if you take photographs on a regular basis, you’ll reach your limit very fast. Other limitations to using Flickr include a 300MB per month limit on photos. The advantage to using a service like Flickr is the site’s popularity ensures you an audience, and we have some tips on how to make sure you get noticed on Flickr. In addition, if your photographs are varied, you can create separate sets for each kind of photography you engage in, making it easy for viewers to go straight to the kind of photos they want to see. Another advantage to using such a popular service as Flickr is the amount of third party apps and sites that have been built around it. These apps make it easier to upload your photos and change the way they are displayed Upload, Display & Share Your Flickr Photos The Easy Way Upload, Display & Share Your Flickr Photos The Easy Way Read More . They can even make it easy to create slick looking portfolios using the photographs you post on Flickr. Pullfolio Create A Professional Photography Portfolio Online In 5 Minutes With Pullfolio Create A Professional Photography Portfolio Online In 5 Minutes With Pullfolio Read More is a simple and easy-to-use option to turn your Flickr gallery into the ultimate portfolio for free. 23hq is a solid alternative to Flickr. Free accounts are limited to uploading 30 photos per month, while the rest of the features are similar from the ability to create albums, to tag photos, and to receive comments from the 23hq community. Your photos can be browsed by album, tag, or through a calendar. Yogile, covered by MakeUseOf in the past Yogile - A Cool Alternative To Flickr With Group Sharing Features Yogile - A Cool Alternative To Flickr With Group Sharing Features Read More , has a simple, minimalist design that will appeal to photographers who want nothing more than to display their art. That said, Yogile is probably one of the most restrictive photo-sharing sites to use as a photoblog as you are limited to 100MB per month. Yogile does set itself apart by allowing multiple users to contribute to one photo album, making it a nice option for collaborative efforts by photographers. You can set your album to be displayed with small thumbnails, large thumbnails, or one photo per page. The list of photo-sharing sites available is endless, and a few other services worth looking into include Fotolog, DeviantArt and Phlog. If you’re willing to pay for a photo-sharing service, Smugmug, is extremely popular amongst photographers as it makes it easy not only to share your photographs, but also to sell prints through the website. There are several online and print photo magazines that provide free membership to share and display your photographs on their websites. The obvious advantage to using a service like this is the immediate possibility of having your photography published in a print photography magazine. We would recommend using a service like this alongside your main photoblog. Fotoblur limits free accounts to 1 photograph a day. That said, the level of photography on the site is extremely impressive, and you will find yourself in great company. Users can comment and add each others work to their favorites, as well as follow each other. During the period when Fotoblur is accepting submissions for their magazine, you can submit any photos you post on the site to be considered, and voted on by the community. Sites like JPGMag and Fotoblur can also serve as a good way to drive traffic to your own photoblog. Aside from the obvious sharing of links on social media sites like Twitter and Facebook, there are other ways you can drive traffic to your photoblog and get noticed online. Photo Friday is a great site with a weekly inspiration point, encouraging photographers to take part by sharing their photography. Submission is open to all, and your submission consists of a direct link to the image you are submitting to any given topic. Cool Photo Blogs is a forum for photographers, but it’s not enough to just submit your photoblog and be added to the directory straight away. Your photoblog has to first be approved by a moderator. VXFY Blogs is another easy way to get more exposure as a photographer, but it does come at a small price. Regardless of what service you’ve chosen to create your photoblog, you will need to add a button or a link to VXFY on your site. To have your photoblog added to the VXFY directory, it also has to go through a vetting process that can take several weeks. While sites like Photo Friday are also useful for looking for inspiration for your photos, there are other ways you can motivate yourself to take photos on a regular basis. You can find all sorts of inspiration and ideas online 5 Methods To Find Inspiration For Your Photography Online 5 Methods To Find Inspiration For Your Photography Online Read More , keeping an eye on what other photographers are doing, or you can even start your own 365 Project. Committing to taking one photo a day is a great way to practice new photography methods, to push yourself beyond your comfort zone, and come up with some great results. Taking one photo a day without sharing it with the world isn’t much fun. There are several ways you can share your Project 365 images. You can start your own self- hosted or hosted blog using any one of the methods above, you can create a Flickr set, join a Flickr Group Become A Better Photographer with Online 365 Days Groups Become A Better Photographer with Online 365 Days Groups Read More or create a 23hq album. There are also several sites worth taking a look at that are set up for just that purpose. These include 365 Project Top 4 Photo Websites To Share One Photo Everyday Top 4 Photo Websites To Share One Photo Everyday Read More , Blipfoto, Photoblog, Momentile Top 4 Photo Websites To Share One Photo Everyday Top 4 Photo Websites To Share One Photo Everyday Read More , Aminus3 and Shuttercal Document Your Life & Improve Your Photography Skills With Shuttercal Document Your Life & Improve Your Photography Skills With Shuttercal Read More . Starting a 365 Project is also a great method to motivate yourself to take photographs on a daily basis. Even if you know you won’t be able to take a photograph every single day of the year, making that commitment serves as a great way to keep yourself photographing as often as you possibly can. There are other tips to keep in mind when it comes to taking photographs. First and foremost, take a camera with you everywhere you go. If you’re serious enough about shooting that you want to keep a photoblog, that probably means you’re shooting with an SLR. 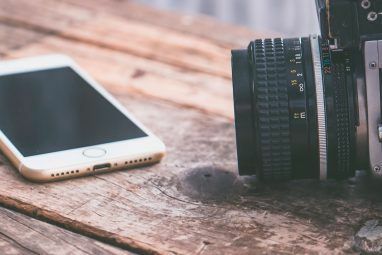 If lugging around an SLR on a daily basis isn’t an option, don’t discount the idea of keeping a small point and shoot with you, or even using your cell phone. The results that you can get with a decent cell phone camera are pretty impressive, as can be seen on the iPhoneography only website, iPhonific. If you’re a talented photographer, it doesn’t matter what kind of camera you use, and as they say, the best camera is the one that’s with you. If you’re serious about your photography, you’ll keep an eye on what others are doing. Following other photographers will keep you in the loop on the latest trends, new techniques, and much more. With photography, as with many other things in life, you’ll find yourself in a constant learning process. Study the greats, while also making use of the amazing wealth of photography available online. At MakeUseOf, we’ve already showcased some impressive The 10 Most Stunning Photo Blogs The 10 Most Stunning Photo Blogs Read More photoblogs Top 5 Awesome Photo Blogs To Inspire & Impress Top 5 Awesome Photo Blogs To Inspire & Impress Read More giving you a great place to start if you’re not sure what you’re looking for. At the end of the day, there is no wrong or right way to put together a photoblog. It all comes down to what you feel is right. Once you’ve determined the aim of your blog, it will make it easy to decide the best way to set it up. By putting that extra effort into how your photos are displayed, you’ll give yourself yet another source of motivation to keep taking photos – posting them on your blog. Explore more about: Longform Guide, Photography.